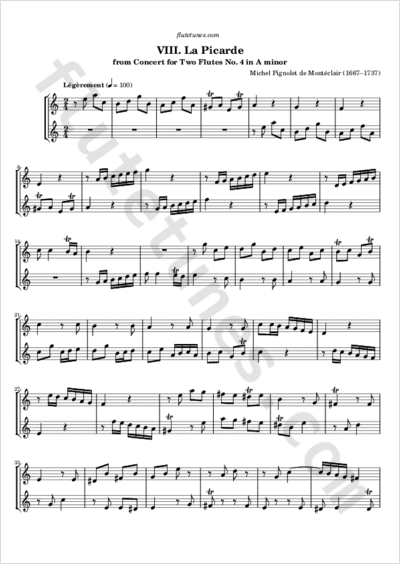 This is the eighth and final movement of the fourth of six Concerts à deux Flutes Traversières sans Basse by the French Baroque composer Michel Pignolet de Montéclair. Here the French word concert is a synonym of “suite”, and has nothing to do with the Italian concerto. The title of the movement, “La Picarde”, references Picardy, a historical region of northern France.